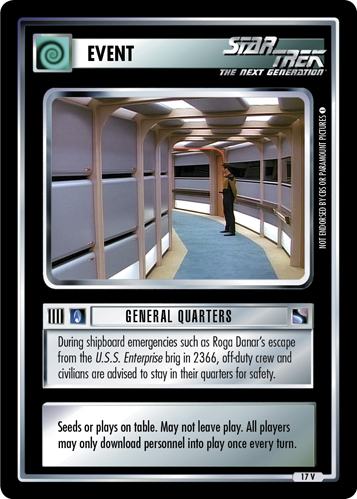 During shipboard emergencies such as Roga Danar's escape from the U.S.S. 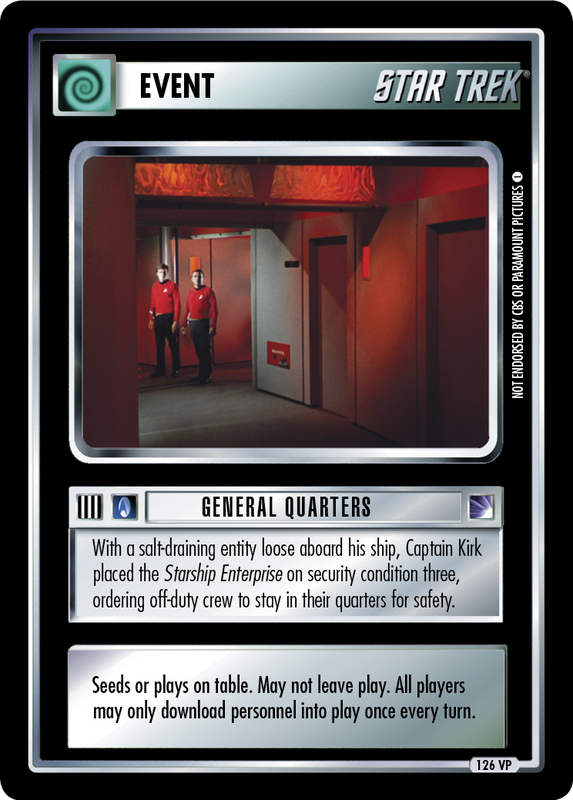 Enterprise brig in 2366, off-duty crew and civilians are advised to stay in their quarters for safety. Seeds or plays on table. 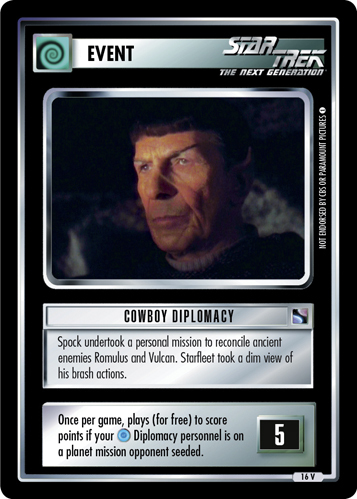 May not leave play. 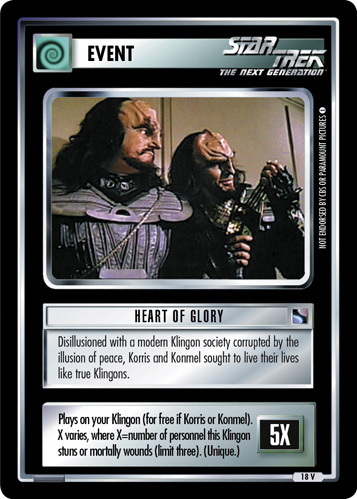 All players may only download personnel into play once every turn.